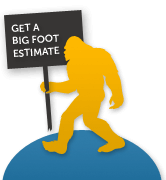 Big Foot Moving & Storage, Inc. is a GSA Contract Holder (# GS-33F-035AA) for Schedule 48 and we provide office relocations throughout the Boston area, the Commonwealth of Massachusetts, New England, and beyond. 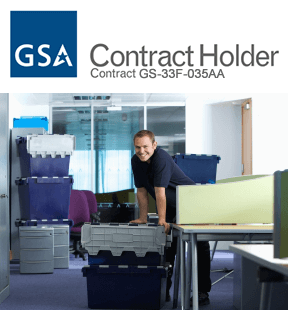 This contract award enables government agencies to benefit from our broad range of service offerings at a competitive price, delivered by the best in the industry personnel. Services provided, along with our service rates, can be found on the GSA Advantage website. Big Foot Moving & Storage, Inc. is able to provide the government with a fast, streamlined ordering process with limited competitive evaluations, and allows for easier purchasing by federal agencies and other authorized users. Under Schedule 48, SIN 653-8, a full range of services are offered to remove the existing office furniture, equipment and related supplies from the existing location, transport the items to the new location, and place them according to the direction of the federal agency. Whether you’re rearranging a couple filing cabinets, or an entire agency, Big Foot can handle your move on time and on budget. Learn more about our government moving services by requesting an estimate.